Naik has also requested the ED to wait for the order of the UAPA tribunal before asking him any questions about his now-banned NGO. 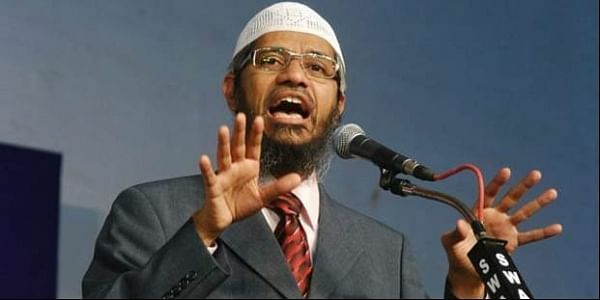 MUMBAI: Controversial televangelist Zakir Naik has responded to the ED summons in connection with a money laundering case and said he is willing to give statement via any electronic media facility. "My client is willing and ready to give any statement before you via Skype or any other mode of electronic media to assist you in your investigation," read a letter sent by Naik, the founder of NGO Islamic Research Foundation (IRF), through his lawyer Mahesh Mule. Naik also said that he is an NRI and has not received any summons. He, however, added that his brother was served the summons on February 2, asking Naik to appear before the Enforcement Directorate (ED) on February 9, and maintained that it could not be construed as proper service (of summons). Naik has also requested the ED to wait for the order of the Unlawful Activities (Prevention) Act (UAPA) tribunal before asking him any questions about his now-banned NGO IRF as the ban is being contested. IRF was banned for five years by the government last year under the UAPA for its alleged terror activities. Naik also claimed that he faces an extremely hostile atmosphere in India and under these circumstances, conducting a fair probe against him would be impossible. He also sought a few months' time to appear before the ED in person. Last week, the ED had arrested Aamir Gazdar, a close aide of Naik, in connection with the money laundering case. The central probe agency had registered a criminal case against Naik and others in December, 2016 after taking cognisance of an NIA complaint under the UAPA. The ED is looking into the charges of illegal funds laundered by the accused and the subsequent proceeds of crime thus generated. Naik (51) is said to be staying in Saudi Arabia to evade arrest after some perpetrators of the Dhaka terror strike last year claimed that they were inspired by him. He, along with unnamed IRF officials, has been booked under section 153A, IPC (promoting enmity between different groups on grounds of religion and doing acts prejudicial to maintenance of harmony), besides various UAPA sections.